So I’m assuming that everyone reading this has seen Star Wars Episode VII: The Force Awakens. If you haven’t, then you need to quietly turn around and pretend this never happened. Alrighty then, now we can proceed. There have been theories up the you-know-what about who is related to who and what does it all mean. Well here’s another theory that popped into my head upon my 6th viewing of the latest film in the Star Wars saga. Naturally it all surrounds the film’s main protagonist: Rey. The questions; who is she? Who are her parents? Where does she come from? These are all valid questions and ones that probably won’t be answered until May 2017, when the next episode is released, at the very soonest. But Star Wars fans are going to do what Star Wars fan do…and that is speculate. Before I get into the meaty part, I want to make sure that it’s clear that this is my theory alone and no one else’s. Here goes nothing! Rey is neither a Skywalker nor a Solo. Wait don’t leave. Let me explain! 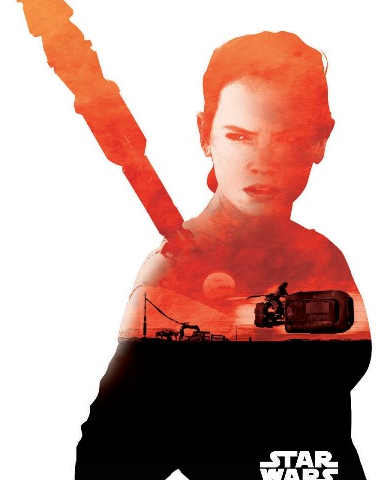 Doesn’t it feel like such a cop-out if Rey were to be Luke or Leia’s daughter? I mean why does everyone need to be related? I know Star Wars is all about family drama, but would it be a little refreshing to have a whole new lineage take the mantle? Let’s retrace my steps. Han doesn’t know who Rey is. He clearly asked her what her name is. I just don’t see Rey having any connection with Han or Leia. Why would Leia refer to Rey as “the girl?” It sounds kind of cold for a mother to refer to her own daughter like that. With all the Solo family drama surrounding Kylo Ren, Rey doesn’t get any attention. So forget that theory. Seriously though, if she was his daughter wouldn’t being there be enough for Luke to awaken? Why the need to hold out the lightsaber? Wouldn’t she just say, “Hi dad! Oh by the way here’s your old lightsaber.” Yes it could be argued that Leia wouldn’t just send anyone to find Luke, but again I don’t think it’s relevant who goes, but instead what the message is, and the fact that Chewie and R2-D2 were with her as well is enough evidence to show that she is of importance, but she doesn’t necessarily have to be related to anyone. She’s a powerful new character in a vast galaxy with the ability to stand on her own, without having to be related to a Skywalker. I had commented someplace, don’t remember where, that the theory of Rey as Luke’s daughter was just too easy. Now Leia not knowing Rey…difficult to see…the dark side clouds everything. I know things in star wars are supposed to be pretty simple, but this just seems too simple. Yea I just didn’t see any recognition in Leia’s fave when she saw Rey. Yea I’m pretty sure Kylo knows about Rey. He even says, “the girl I’ve heard so much about.” It depends on the context of what he is saying, but it definitely appears that he is at least somewhat familiar with Rey.